A total of 12 managers, administrators and executives from both the commercial and sales departments of a new group of agencies from this Andean country visited the Riviera Nayarit and Puerto Vallarta. The Riviera Nayarit Convention and Visitors Bureau’s Promotion and Sales department and its counterpart in the Puerto Vallarta Tourism Trust (Fidetur) hosted a group of travel agents from Peru on April 23-28 in order to give them the tools they need to help sell the destinations. These activities form part of the joint Riviera Nayarit/Puerto Vallarta campaign currently underway in collaboration with the Mexico Tourism Bureau (MTB). Aeromexico also participated in this promotional undertaking with both destinations. 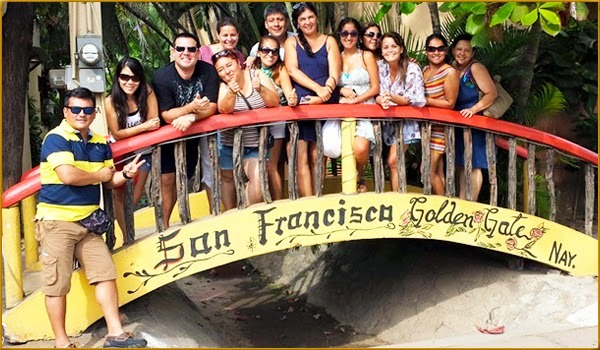 The six Peruvian tour operators that currently work with the destinations sent a group of 12 representatives, among them managers, administrators and executives from the commercial and sales departments of various travel agencies. Said agencies were different from the ones the region hosted in March, thus diversifying sales opportunities in Peru; this is why it’s been so important to work closely with expert tour operators in that country. The group stayed in Puerto Vallarta for the first three days, where they conducted several hotel site inspections and visited the traditional attractions of the port; they then spent the rest of their stay in the Riviera Nayarit. Once they were north of the Ameca River the agents enjoyed a tour of San Pancho, where they ate a tasty organic meal and experienced the area’s outstanding cultural attractions. Afterwards they spent some time in Sayulita, where a surfing class on the waves was de rigueur. Of course, no trip would be complete without a stop in Nuevo Vallarta and Punta de Mita in order to review the destination’s hotel infrastructure. They also visited the iconic Islas Marietas, which they found fascinating, as well as Playa Escondida, which has caused quite a stir in Peru.